An overview of personal data usage & exploitation. The increase in global connectivity and availability of data as an open source which people produce in a large scale every day about browsing habits, personal information, opinions, views, trade solutions, social media activities etc. where people are giving away their information to the advertisers in order to use their free services. For many people, it is not a big deal, and they think that advertisers can use their personal information to provide them more relevant ads and information which they seek. No doubt advertisers are providing the platform to users, but still, they are making a ton of profits from users’ personal data Where people have insufficient control over how their data are being used. Marketers can now find every mouse movement and click of the users and track the entire user journey (refer what is “heat map”), and based on this, their data are mined, aggregated, analysed and being sold. Websites are now being widely used by the online marketers to showcase the different types of the relevant users at different times on various devices based on the data shared by the users. 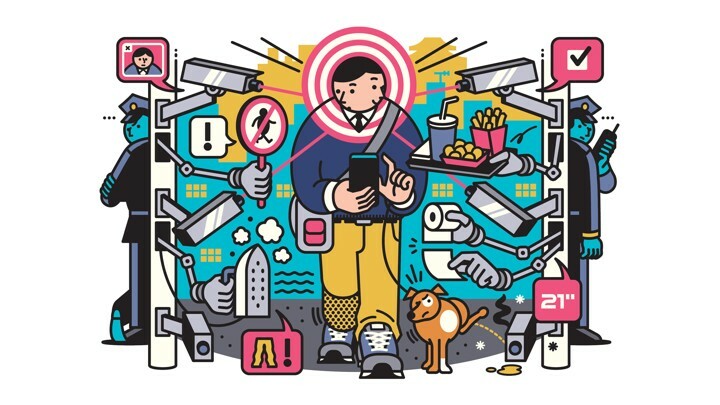 Behind each advert, there is a massive science of personal data market. The data brokers are playing a significant role in this. Brokers create individual profiles of the users for concrete information which can be targeted by the specific advertiser. Social networks like Facebook collects the very insights of users like their browsing habits, interests, hobbies, opinions, the kind of groups they join on the networking site, the type of post they like, comment and share on the social network etc. are carefully judged and based on such information the target marketing takes place. Numerous surveys say that people’s user experience is continuously monitored, targeted and hacked, and people have actually started raising their voice about their personal information is managed on the web. There is an urgent need for the reconsideration of the way users’ data are managed in a digital environment. This isn't that everything is being misused and wrong. The internet and web have given tremendous significance to its billions of users and expedited technological reform. Entry to data & information, goods and services have never been freer and more open. Here the concern is that the accessibility of private data to the internet creates adverse effects as well. The open-source movement was started in order to provide social and economic benefits to the mass but as now we are departing from the original vision, and the risk of sharing and using the personal data for the commercial purpose of advertisers are quite high. So far there was a lack of legal, social and economic norms for sharing such information and allowing the user to have control over their data. There is a need for greater ownership, transparency and democratic control over how the data are being used to create social, economic and commercial value. The algorithms and data privacy. The rise of algorithmic decision making used by businesses has resulted in the individual privacy risk. Here the point is not that algorithms are wrong, they have a tremendous potential to support the decision making, and moreover, the Artificial Intelligence (AI) & Machine Learning is contributing a great value to the society and economy both. However, there are problems of transparency on how these algorithms work and how they use the data. Big data lets us find models and relationships over a wide range of data so that apparently irrelevant data might be utilised in crucial judgments. Having control over personal information is essential. The EU Data Protection Directive (Directive 95/46/EC) allows companies to provide the customer data to the third party, provided the personal identity must not be revealed. However, the EU directives, to a large extent has failed to do so. However, the GDPR will impose the strict rules on the use of personal data, and its protection may not sound attractive to the companies. Businesses will have to pay a massive cost for accessing personal data without the consumers’ consent in the form of penalty. The GENERAL DATA PROTECTION REGULATION 2018 replacing data protection Directive in April 2018 is the primary law regulating the protection of personal data of US citizens. GDPR applies to every member of EU, with the aim to create a robust regulatory framework to protect personal data of users across EU nations which emphasizes the requirement of user consent for the data processing, the anonymity of the users’ private data, dedicated officers to look after the safety and protection of the data and the GDPR compliance. It requires the specific references from the companies collecting users’ personal data. GDPR let customers access their data which they have provided in a structured, commonly used format. We hope GDPR help to shift the focus of user privacy issue in a way such that it is beneficial and ensures excellent profitability for all. Flexible rules which give people ownership and access to their information online and transparency about how it is being used. A digital platform where business and users both can leverage the value of the economic and social value of the data while maintaining individual users’ privacy. Companies may get a more relevant and quality information by giving users’ access to their data and can be built closer relations with its customers. Information is something to be freely distributed, used and re-used as a collective good. Beyond merely redistributing the business value obtained by marketers, data has the potential to unlock a whole spectrum of integrated, ethical uses for data which contribute advantages to individuals, community and the economy to prosper. To achieve this aim, having a robust regulatory framework for data privacy and personal data security is uber important.